Come TRASH those trail legs at this exciting and challenging race series! 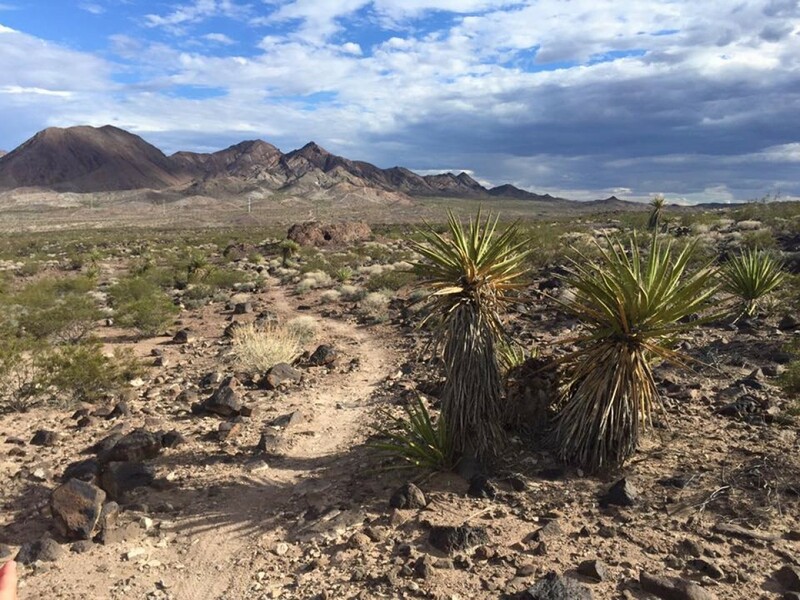 The race starts at the beautiful Hidden Falls Park and continues onto the Amargosa and Sloan Canyon trail systems. This trail system begins at around 2400 feet elevation, and parts of the 50-miler and 100- miler hit at around 3200 feet in elevation. Many of the trails in this race will be raced on for the first time with us! The terrain is varied, with wide groomed trails and challenging single-track. The views are spectacular: mountains, valleys, and the Las Vegas Strip! We have an "early start" option for the 50-miler and 100-miler at 5 AM. Regular start times are as follows: 100-miler - 5:30 AM, 50-miler - 6 AM, Marathon - 6:30 AM, 1/2 Marathon - 7 AM, 10K - 7:30 AM, 5K - 8 AM, Kids' 1 Mile Race - 10 AM.